Yeh Rishta Kya Kehlata Hai‘s Kriti (Mohena Kumari Singh) celebrated her engagement with Suyesh Rawat in Goa. She was surrounded by family, friends, and co-stars Mohsin Khan, Shivangi Joshi, Gaurav Wadhwa, Ali Hasan and Rishi Dev, to name a few. Mohena was seen performing at her engagement as well and was cheered on by all the guests. 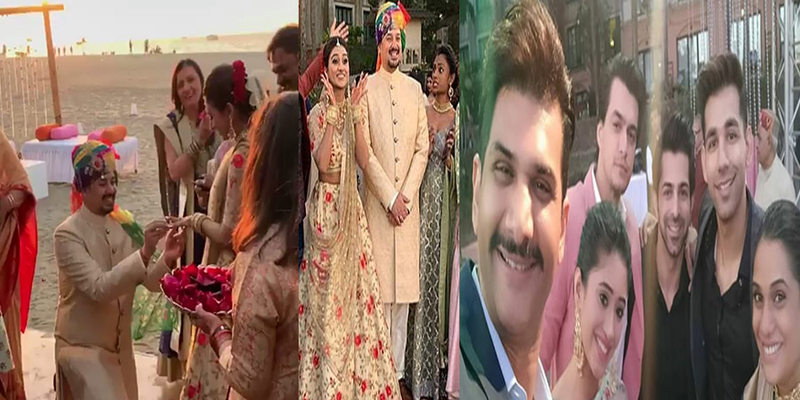 The cast members of Yeh Rishta Kya Kehlata Hai was seen taking snaps before and during the ceremony. Their smiles were broad and full of joyful emotions as their friend Mohena was about to enter a new phase of her life. Stay tuned to Fuze for the latest updates. Follow us on Twitter and Instagram now! What is happening to girls?? Why are they choosing oldies? ?